To sail a boat is a magical, and sometimes mystical, experience. The sailor is free from the cares of life on land, entirely absorbed in the enterprise of moving a craft across the water. For the uninitiated, though, this is madness. Whatever reason can there be for willingly putting yourself at the mercy of nature’s unpredictable forces, winds, waves and weather? 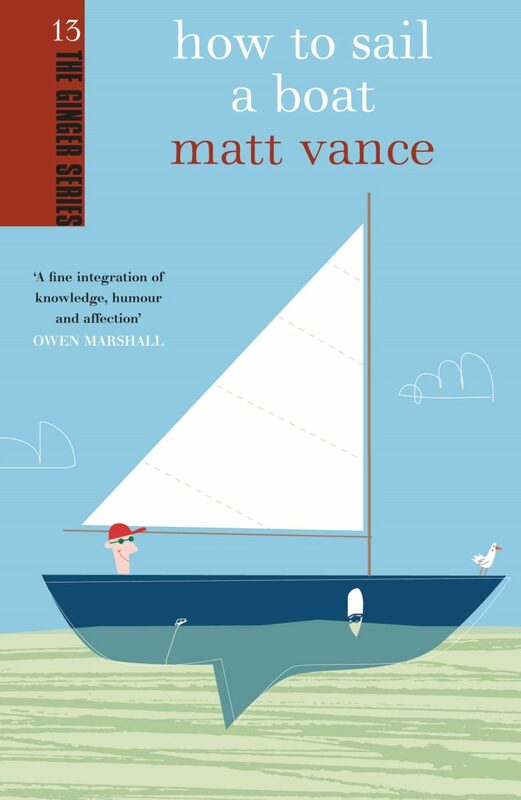 In this captivating book, Matt Vance takes you inside the mind of the sailor, from the first scary moment of handling a boat solo to the exhilaration of sailing across oceans and discovering new worlds. His stories and those of his fellow madmen will captivate sailors young and old – and if you’re a landlubber you may just find yourself yearning for the blue horizon. Listen to Matt Vance in an interview from 26 June 2013 on Nights with Bryan Crump. Sailors, I’m sure, will find themselves nodding in recognition of the lyrical descriptions of the ocean, and of the people drawn to it. For the rest of us, the book is a beautiful reminder that it is our passions which power our lives. Nifty little book…[with] a selection of anecdotes about life afloat that will appeal to seasoned salts and landlubbers. What makes Matt’s book a joy to read is his insight into the psychology of the landlubber, the tinkerers, the sailors and those who just gaze out to sea. In this book you are taken into the mind of the sailor, from the first scary moment of handling a boat solo to the exhilaration of sailing across the oceans and discovering new worlds. This is an interesting book with a good integration of knowledge, humour and affection. Vance has an amusing way with words, and the kind of salty wit you would expect. A series of rapturous yarns, like a sea voyage with each chapter a rich night-watch of tall stories, sea-spun philosophy and unfinished themes from the night before.